SOUTH DEERING — City Colleges Chan. Cheryl Hyman said a 103,000-square-foot transportation, distribution and logistics center being built on the Far South Side will be the "hub" of her schools' career training program. The new TDL Center will located at Olive-Harvey College and be part of the College to Careers initiative launched nearly two years ago. "We are laying the foundation for a first of its kind facility that will prepare Chicagoans for 110,000 jobs in transportation, distribution and logistics," Hyman said at a Monday groundbreaking ceremony, which was also attended by Mayor Rahm Emanuel. " ... Through these efforts our colleges have partnered with industry leaders to make sure our programs are relevant and reflect workforce demand." 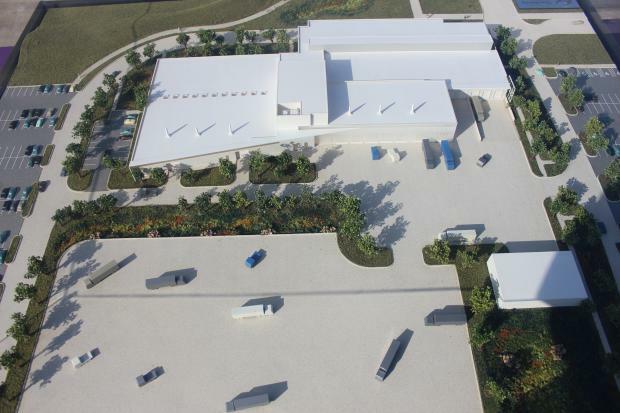 Scheduled for completion in 2015, Hyman said the TDL Center include automotive and diesel engine laboratories, classrooms, simulated driving facilities, a testing center, vehicle bays and a dynamometer that measures the power output of an engine. The new TDL Center will create 150 jobs and is part of a five-year, $524 million capital plan for all seven City Colleges. The nearly $45 million center at Olive-Harvey will be funded by $31.6 million from the state and $13.2 million from City Colleges, officials said. Hyman said that 20 construction jobs will be reserved for qualified residents living in neighborhoods near Olive-Harvey, such as Roseland, Pullman, South Deering and Calumet Heights. Emanuel thanked all the companies, such as Walgreens and UPS, who helped develop the curriculum for the program. "The curriculum used by students will reflect where the transportation, distribution and logistics are going in the next 20 years," said Emanuel. "Chicago is the transportation, distribution, logistics inland port of America. If it moves on rail, runway or roads it comes through Chicago." He added that on Wednesday the city would break ground at O'Hare International Airport for "the largest air cargo facility at a gateway airport in America." Gov. Pat Quinn was unable to attend the groundbreaking but in a statement praised the City Colleges for building a much-needed student facility. “The TDL Center will employ numerous skilled laborers during construction and prepare thousands of students for high paying, in-demand careers once it is complete,” Quinn said.